As founding principal of HKT Architects Inc., Bill Hammer’s background includes planning and design of municipal projects including Public Works and Town Halls, college facilities, as well as large-scale residential, medical, and recreational projects. With a focus on architecture and urban design, Bill has often been involved with preliminary planning and evaluation phases of any given project in order to help define the scope and context of a project prior to design work. In addition to Bill’s professional activities, he is an honorary trustee of the Rhode Island School of Design. Bill is currently the Vice Chair of the Harvard Graduate School of Design Alumni Council. Bill enjoys playing tennis whenever he gets the chance. He also enjoys Baroque music and supports the Handel and Haydn Society where his wife is a member of the Board of Overseers. In addition, Bill and his wife always look forward to travelling internationally and there is never enough time for his two grandchildren. Eric Kluz is a principal at HKT Architects who specializes in sustainable design for a variety of clients including institutions that are focused on the environment. He has over 40 years of experience as an architect working with numerous municipalities and state agencies to develop consensus and support among taxpayers and stakeholders. His special interests have focused on green initiatives for non-profit and educational institutions including the Doyle Conservation Center for the Trustees of Reservations, the oldest land trust in the nation. Eric has also been responsible for the design of the William J. Walczak Health and Education Center, a unique partnership between the Codman Academy Public Charter School and a community health center which received a LEED Gold Certification. Both Eric’s father and his daughter are licensed architects as well. Janet Monteverde Slemenda is a principal and an experienced project manager with over 37 years of experience. She brings strong expertise to the programming, space planning, design, and contract document phase of projects. She has worked closely with clients on pre-design feasibility studies and site searches, as well as coordinating phased projects and capital planning. She is especially experienced in working with building committees to educate taxpayers about projects in order to gain community support for implementation. 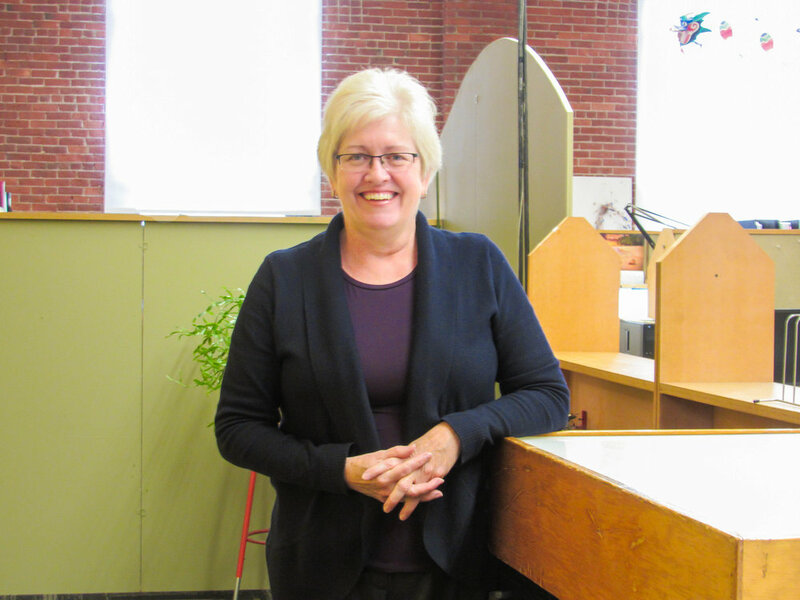 Janet has worked for HKT Architects since 1985 and has worked on higher education, public safety buildings, municipal buildings and planning studies. As a Principal, Janet is responsible for coordinating the design team and leading in-house design reviews to ensure the project’s aesthetic goals are coordinated with the programming, budget and scheduling goals. In her spare time, Janet is an avid beachgoer where she likes to go to indulge in a good mystery book. She is a participant in local committees and councils, since she highly values giving back to her community. More importantly, Janet treasures her family and is always up for a trip to visit her extensive group of relatives and friends across the country. Amy Dunlap is a principal and skilled project manager with over a decade of experience. Since joining HKT, she has worked on many of the firm’s higher education, secondary education and municipal projects. Amy brings keen expertise to the programming, space planning, design, contract documents and construction administration phases of projects. She is committed to sustainability with the intent to eliminate negative environmental impact through skillful, sensitive design. The firm is fortunate to have Amy on staff. She is a talented designer with solid organizational skills. Prior to studying architecture, Amy worked as an analyst for Arthur D. Little, where she provided management and techno-economic consulting services to clients in the energy industry. This business management and economic expertise is a valuable supplement to her architectural skills.